The color blue is everywhere! It’s in the sky, the ocean, and on some of the most beautiful plants and animals. Blue is a great color. 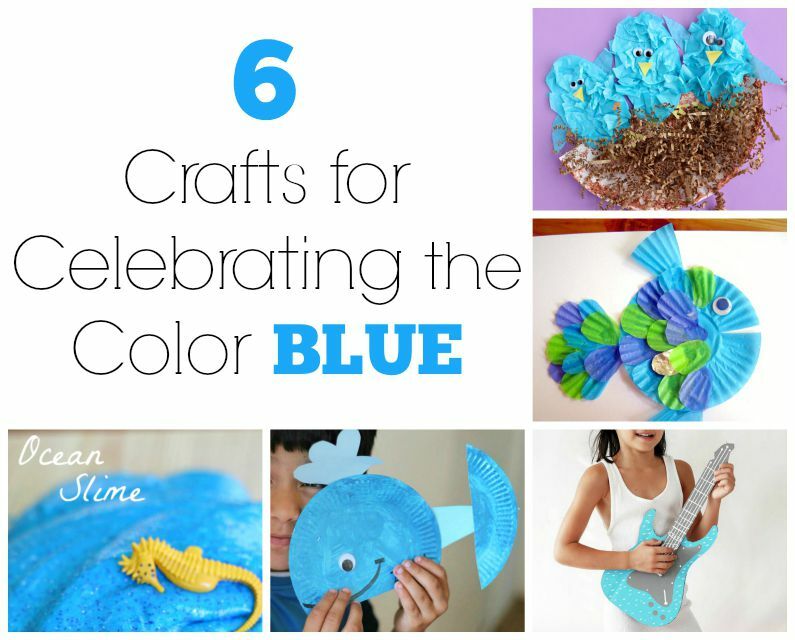 Let’s celebrate the color blue with these crafts for your kiddos to create! To make this simple paper plate whale, you’ll need paper plates, blue paint, and googly eyes. Put them all together to make cute whale animals and pretend to play in the ocean blue! Have you ever wondered how to make slime? Look no further with this silly ocean slime craft. It’s ooey, gooey, and provides hours of entertainment. Rock out on your very own blue guitar with this DIY kids craft. Get creative and have some fun with this blue cardboard craft. Get a few friends together and rock out to some good ol' Blues music! These birthday party ideas from Frozen are blue, easy to make, and all SUPER fun. Any child that loves the movie will LOVE these activities and crafts. Collect some blue cupcakes liners to make these pretty fish. This is an easy craft that your kids will love, using their small motor skills as they assemble it. How cute are these little bluebirds? Make them and put them in a nest with tissue paper and a paper plate.